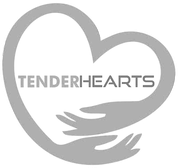 TENDER HEARTS & LOVE - tenderheartsghanas Webseite! Help us to help people in need! Tender Hearts & Love is a non-governmental organisation (NGO) in Tema, Ghana. The NGO aims at supporting people in urgent need, especially focusing on rural areas and children in Ghana. We focus on long-term support and sustainable help by setting up various projects and strategies. Only with YOUR help we can help others! Presentations about the project at GMG in Amberg (Germany) were held.